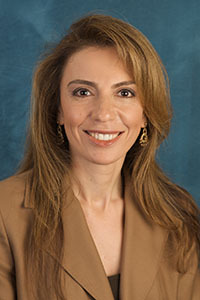 Dr. Nadia Mishael is a licensed clinical psychologist and a licensed clinical social worker. She has been in private practice since 1998. She earned a Master of Social Work from the University of Southern California and a Doctorate in Psychology from Ryokan College. She is an Adjunct Assistant Professor at the USC Suzanne Dworak-Peck School of Social Work where she teaches on campus as well as online in the Virtual Academic Center. She has also provided field training and clinical supervision for USC MSW students. Dr. Mishael serves as a volunteer clinical supervisor at The Maple Counseling Center. She was the first Program Coordinator of the Student Peer Counseling Program at Beverly Hills High School offered through The Maple Counseling Center. Dr. Mishael has extensive post-doctoral training in the areas of psychoanalytic psychotherapy, neuroscience, health psychology, post-traumatic stress disorder among veterans, and working with military families. In addition, she has considerable experience working with adolescents, and providing therapy to address social-emotional, familial and school-related issues. Dr. Mishael is also certified and an Approved Consultant with the American Society of Clinical Hypnosis. Therapy can help you gain insight, self-awareness, and empowerment in taking a new direction and approach in achieving your goals. A therapy session can feel like a deep conversation, in which you are able to talk fully about what matters to you. I will work with you to help you better understand any issues and patterns of behavior that are holding you back, and help you gain personal strength to overcome obstacles which have prevented you from being more fulfilled. Therapy sessions are generally 45 or 60 minutes in length. Sessions can be longer when necessary, for example, in working with couples and families. The length of therapy depends on the individual circumstances of each case. I can set up a free phone consultation when you call. After the consultation, you can decide whether to set up a first appointment in the office, or I can refer you to another professional if you need a different type of specialty. I work Monday through Friday. My schedule is flexible and I have evening appointments available. I will discuss fees with you when you call for a consultation and will make every effort to help you be able to afford therapy. I am a Medicare provider and also accept a few other insurance companies. If you have any additional questions that are not covered here, feel free to call me, send an email, or fill out the form on my Contact page. You can also contact Dr. Nadia Mishael by email.